The World of Warcraft Battle Chest contains the original World of Warcraft game, World of Warcraft: The Burning Crusade Expansion, World of Warcraft: Wrath of the Lich King Expansion, World of Warcraft: Cataclysm Expansion, World of Warcraft: Mists of Pandaria Expansion, World of Warcraft: Warlords of Draenor Expansion and strategy guides. You were meant for more. You were meant for epic adventure. Maybe even greatness. To charge your enemies without fear. To live boldly and run with comrades you never knew you had. To experience the impossible. Descend into World of Warcraft and join millions of mighty heroes in an online world of myth, magic and limitless adventure. An infinity of experiences await. Engage in thousands of custom quests - with more being added all the time. Confront Illidan the Betrayer, shatter the Lich King's undead armies and much, much more. 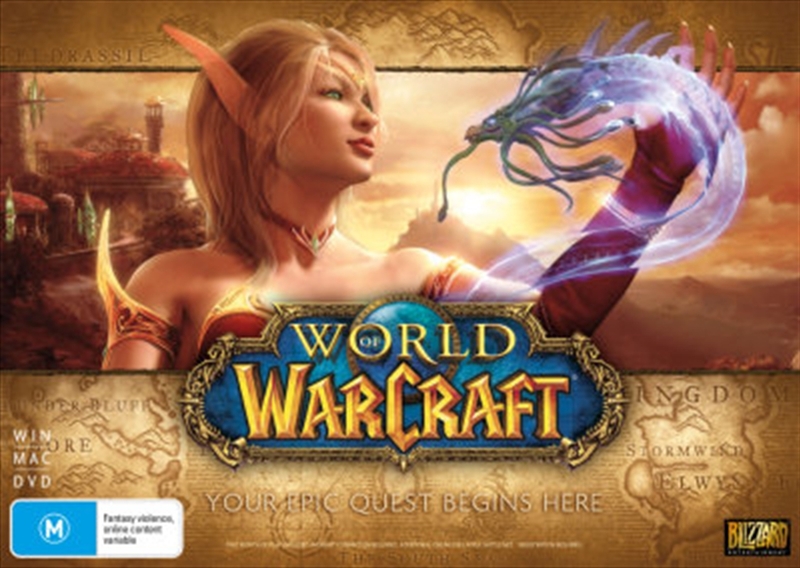 World of Warcraft is constantly updated with new adventures to undertake, lands to explore, and monsters to vanquish. For a change of pace, join the party at a seasonal event like Brewfest or Hallow's End! Take part in the war between the Alliance and the Horde, the two factions who battle for control of Azeroth. From Arenas and Battlegrounds to large-scale PvP zones and open world combat, there's always glory to be won. Ascend to new heights of power as you explore the verdant reaches of the Jade Forest, dodge the boiling vents of Gorgrond, and journey to Tanaan Jungle to battle Supreme Lord Kazzak.